Boulder International Film Festival: Who is ‘The Island President’ and why is he in trouble? Who is ‘The Island President’ and why is he in trouble? 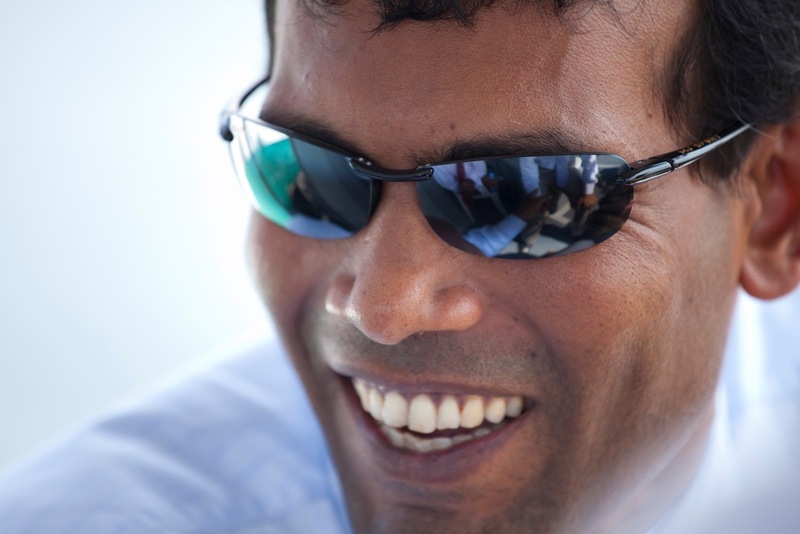 Mohamed Nasheed -- "The Island President." There has never yet been a year where the subjects of films in the Boulder International Film Festival popped up in the news so frequently and so vividly. The latest example of this is the controversy surrounding the recently deposed president of the Republic of Maldives. This nation, spread over 1,100 islands scattered 250 miles south of India, is the lowest county in the world. Its 300,000-plus inhabitants are gathered on 200 of those tiny land masses, and they are threatened by rising ocean levels. The island’s threatened former president, Mohamed Nasheed, is the protagonist of Jon Shenk’s feature documentary, “The Island President,” which will be shown on Sunday, Feb. 19 at 10 a.m. at the Boulder Theater. CLICK HERE FOR INFO AND TIX. On Tuesday, February 7, Nasheed resigned as president, claiming he was forced out of office by a military coup. Although a warrant for his arrest has been issued, he remains free though isolated in his home. Meanwhile, his Vice President, Mohamed Waheed Hussain Manik, has taken office. Nasheed asserts that this conflict stems from his opposition to the adherents of the prior political regime, against which he fought as an activist for years until being elected in 2008 – the first person to be democratically elected as president in the nation’s history. Security forces under the new regime and pro-Nasheed protesters are clashing in many locations. The situation is extremely unstable. Here is the latest update from Reuters and from the New York Times – as well as a video op-ed from “Island President” director Shenk. We urge you to track this story as it happens, and post updates via Twitter and our Facebook page. And come see the film! It is part of our Call 2 Action series, which offers viewers a chance for talkbacks after the film, as well as concrete ways to make your concerns known and act on them.